Our students from the SST Media Club have submitted an entry for the YouthchaNgE 3.0 Voice Up! Challenge 2015, featuring Kashif Edward's 'I am Speciable' Movement. You can vote for the videos you like by clicking on the “Thumbs Up” button on the 'more info' page! There will be a special “Most Popular” award given to one primary school entry and one secondary school entry with the highest number of votes received. The voting period for Secondary and Primary school entries will take place from 14th April 2015 to 25th April 2015, 0000hr. Votes received before or after this period will not be considered. Avoid “single word” comments. Keep your posts meaningful and constructive. Respect the views of other and choose your words wisely. Refrain from demeaning, hurtful or vulgar remarks, or comments which are meant to undermine the credibility or intellect of other members. No insensitive comments related to race, ethnicity or religion. No “trolling.” A "troll" is a person who intentionally attempts to disrupt, incite trouble, and/or receive negative attention by deliberately posting provocative comments. All comments will be moderated prior to being posted on the YouthchaNgE 3.0 VoiceUp! Challenge website. 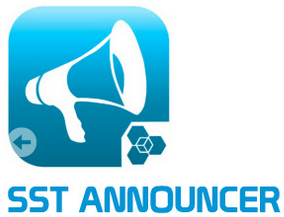 The commenting period will be from 14th April 2015 to 25th April 2015, 0000hr. Comments received before or after this stipulated period will not be posted. Thank you and we look forward for your votes and comments!